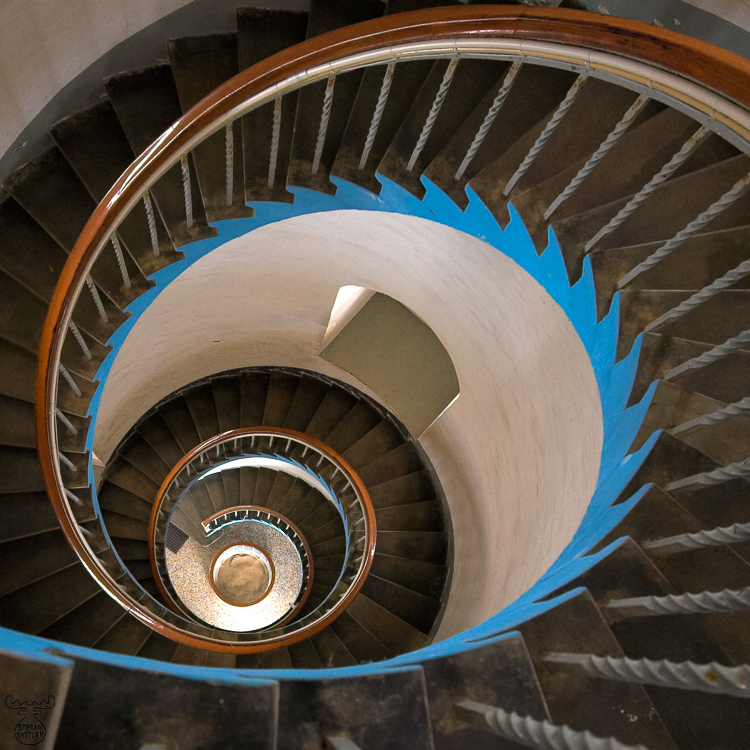 A spiral staircase from the Nørre Lyngvig lighthouse on the Dansih Westcoast. A phantastic day for indoor photography - the lighthouse's outlook was suffering from an extensive restoration with scaffolding in place. So (nearly) nobody except me visited the 38m high tower this time.